Veronica gentianoides is a clump forming perennial with glossy green, ovate leaves. 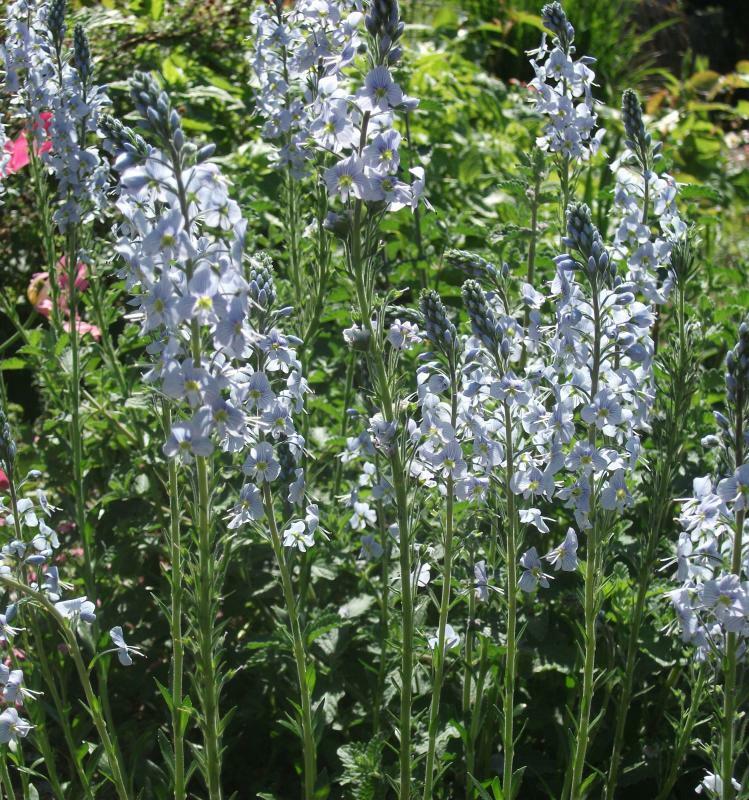 The flowers resemble little butterflies in icy pale blue, often with deeper coloured veins. Easy to grow. One of the few sources of blue in the garden during early summer. 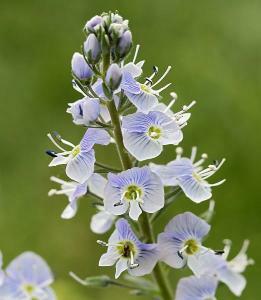 Grows in full sun or partial shade, in a moist, well drained soil. Hardy. Height 0.5 m, spread 0.5 m.